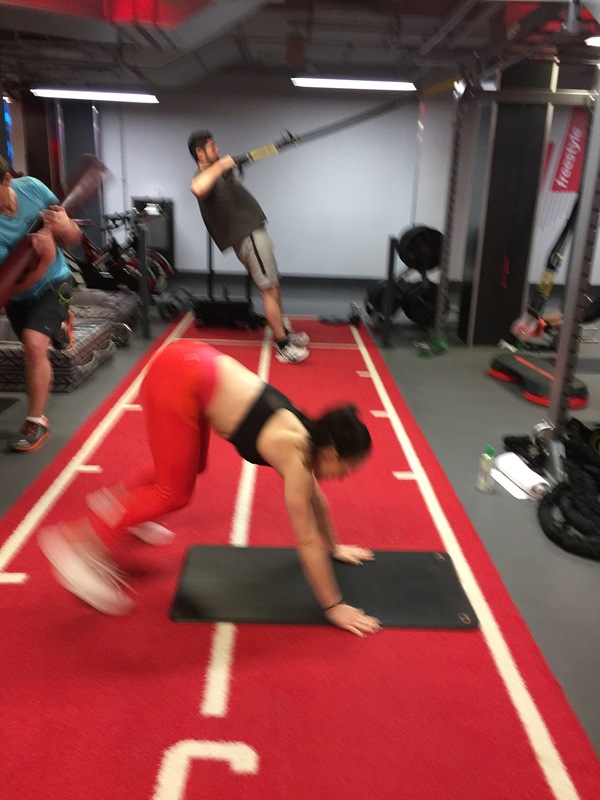 This week I was lucky enough to be introduced to the ten-to-one workout by Mikey (@michael_nowacki) at Fitness First Hammersmith. Lois (@loispia_vu) and I were faced with 50 gruling minutes of boxing, burpees, wall-ball squats, slams and sit-ups. The workout combines HIIT-style intervals with boxing endurance. As the workout progresses, the intervals get shorter and the intensity heats up. 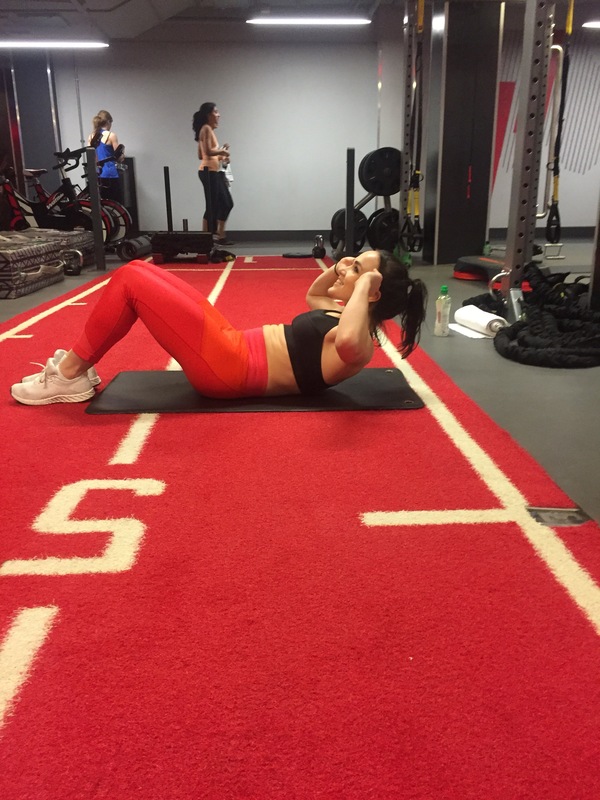 This workout can be done as a pair (with a punch bag) or with a third person wearing pads. So grab your best gal (or guy) pal, and LET’S GET CRACKIN’!! 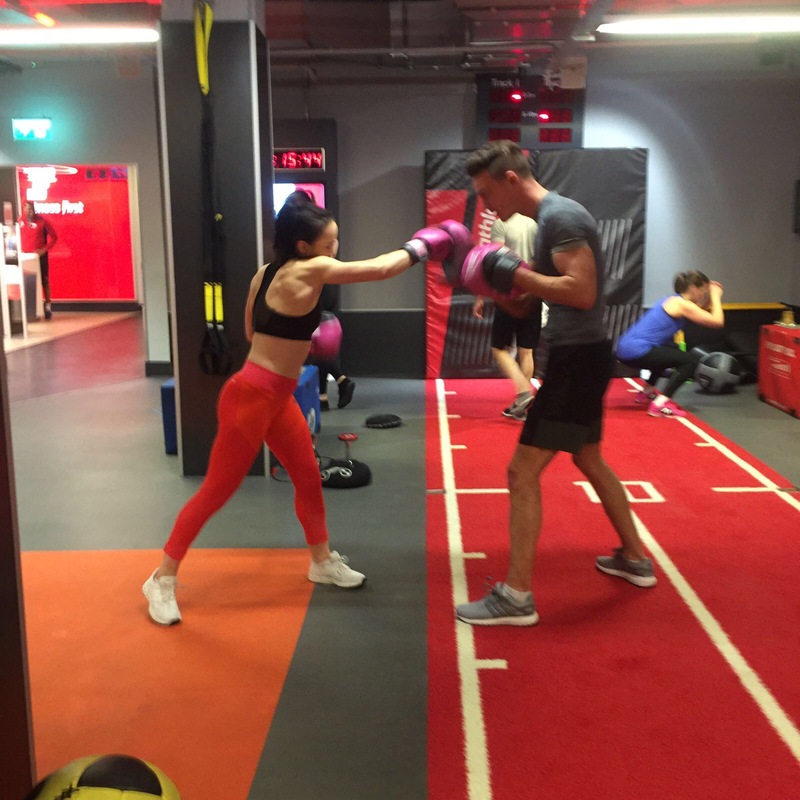 Whilst you make your way through the reps, your partner in crime boxes the s#!t out of the punch bag. Jabs, hooks, uppercuts, just let it allllll out. Once you’ve finished the 4 exercises, switch and repeat. Then do 9 reps, then 8 etc. etc. (I promise, it gets “easier” ~6 reps). Once you’ve both done the 1 rep round, you can go home. 1. 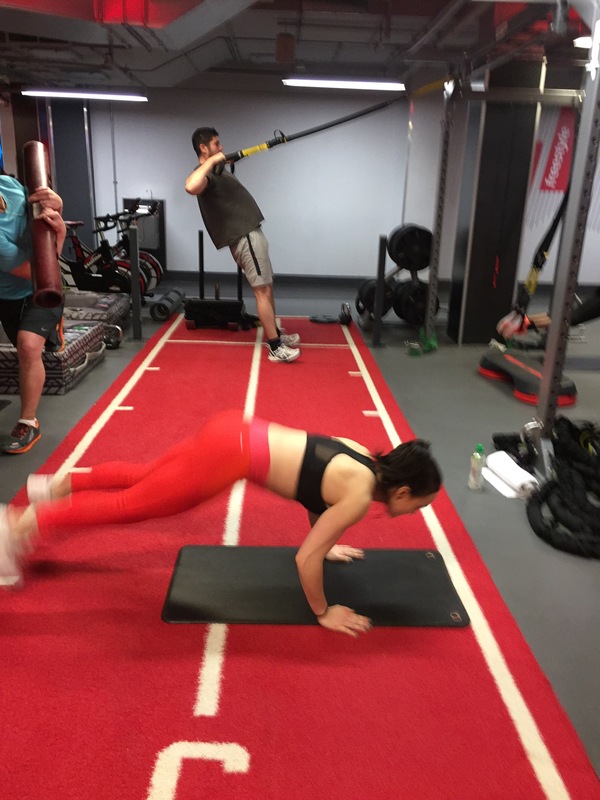 Burpees: Chest to floor. Every time. Jump your feet to your hands into a frog squat. Explode into tuck jump. 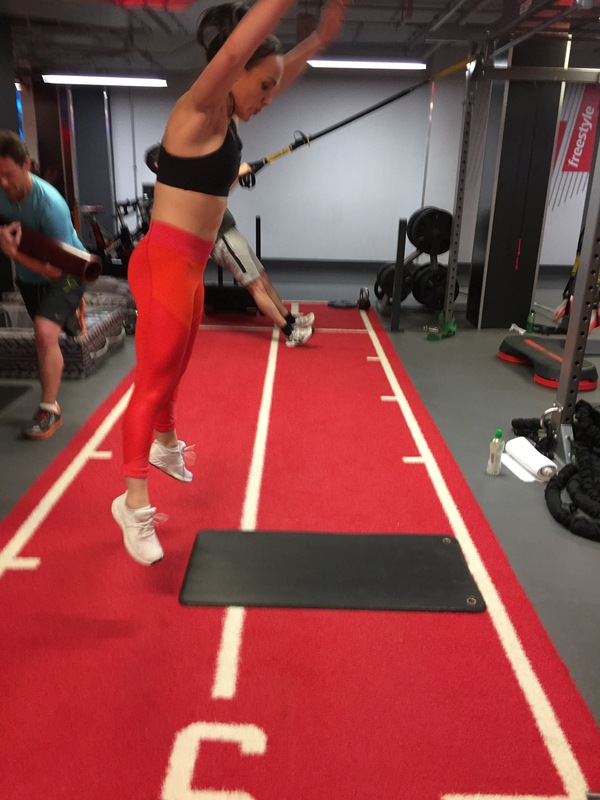 Jump feet back out and get your chest to floor. Repeat. 2. Slams! 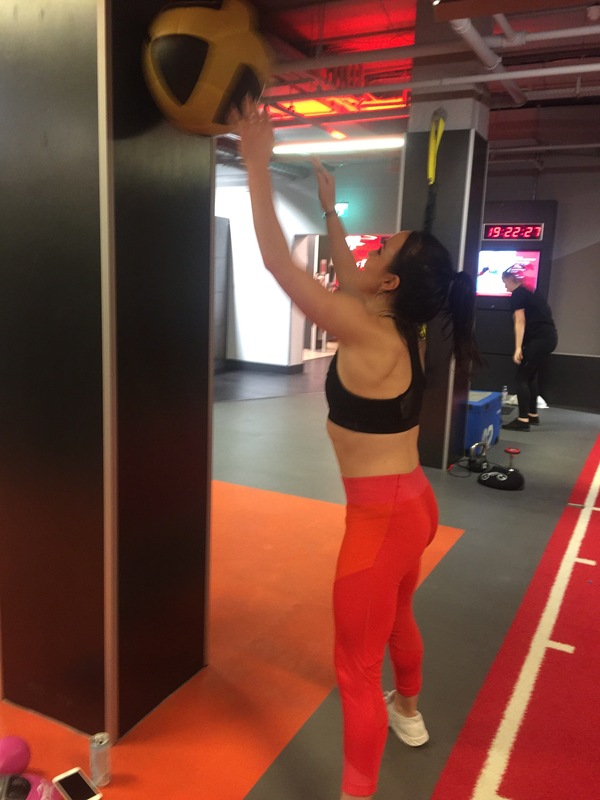 Grab a slam bag, reach overhead and slam it down to the floor with ALL your might. Squat down to grab the bag again and repeat. 3. 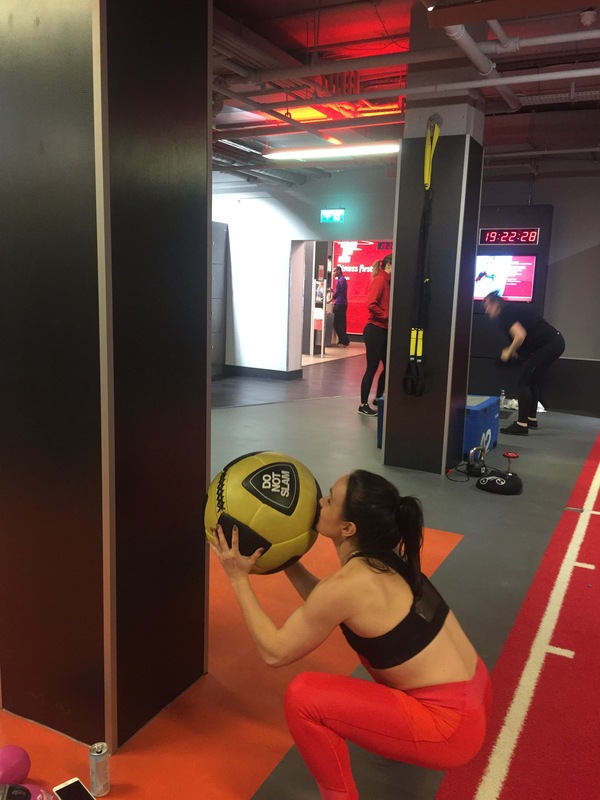 Wall-Ball Squats: Grab any sort of ball and face a wall. Throw the ball as high as possible against the wall and catch as it bounces back. As you take the weight in your arms, squat down with the ball. Stand up & repeat. 4. Sit-ups: Bog standard. Eyes to sky, crunch upwards keeping your lower back on the floor at all times.